The New EU Judiciary is the first book that offers a timely and thorough assessment of recent and ongoing changes to the operation of the European Union (EU) Judiciary, and it reflects on the future shape of the EU judicial system. The Court of Justice of the European Union (CJEU) has started to implement what is arguably the most significant set of reforms since the Nice Treaty, with notably the doubling of the number of judges at the General Court and the disappearance of the Civil Service Tribunal. 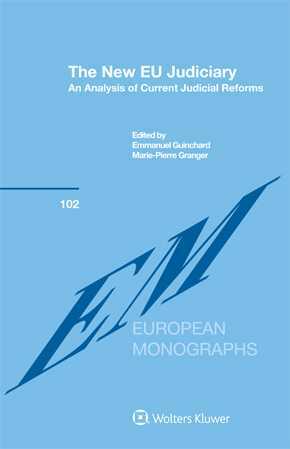 Controversies surrounding the process and outcomes of the reforms called for a broader reflection on the changing role of the European Courts and the way they cope with old and new challenges. To this end, this book brings together junior and seasoned academics and practitioners to take stock of the various aspects of the reforms of the EU Judiciary and its overall functioning, from ‘comparative’, ‘insider’, and ‘outsider’ perspectives. The European Court of Human Rights, The Perpetual Motion? The Civil Service Tribunal of the European Union: A Model to Follow as a Specialised Court?